About Philatelink Stamps & Collectables. We are professional international stamp dealers based in the Scottish Borders. Our directors have over 30 years experience primarily in buying, selling and collecting stamps but also to a lesser degree other collectibles such as coins. bank notes, cigarette cards, cameras, postcards and die-cast model toys etc. We are full members of the Philatelic Traders Society (PTS) London) the leading professional trade body in the UK and renowned all over the World. As such we are bound by their codes of conduct and good business practice. We are also a member of the Scottish Philatelic Traders Association (SPTA) . Today our business is very much a family run affair with Ann my wife and co Director undertaking much of the office administration duties and processing most of the discount postage orders. Occasionally when we are extremely busy we draft in other members of our family to lend a helping hand. 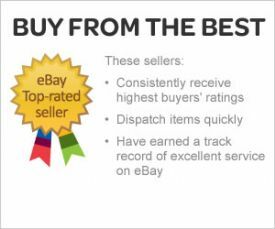 We have been trading as a business seller on eBay for approximately 14 years and in 2011 I was pleased to be formally recognised as an eBay 'Top-rated Seller' and 'Premium Service Provider'. These coveted awards are only given to businesses that consistently perform to the highest possible standards, including trust and reliability. There is a link to our eBay shop and auctions at the bottom of this page. During the last few years our main specialty has been supplying discount British Decimal Postage stamps to businesses and private individuals, who want to reduce there postage costs. This side of the business has been growing fast mainly due to the ever increasing number of small Internet businesses which keep popping up every year. With Royal Mail postage prices at an all time high and profit margins squeezed, there is an ever growing demand for postage stamps. Unfortunately stamp collecting in general has been in decline for many years, especially modern decimal stamps. Many collectors stopped collecting around the turn of the millennium and young people today have so many other interests, which are perhaps more exiting than stamps. As a result we are able to buy large decimal collections at a discount to face value. No doubt though that one day discount postage will become harder to source after stamp collecting and stamp dealer generations have sold all of their surplus stamps. Approximately 70% of our stock is purchased from various UK & European stamp collectors and dealers with the other 30% sourced from quality stamp auction houses. We can also sell your unwanted stamps and other items on a commission basis. 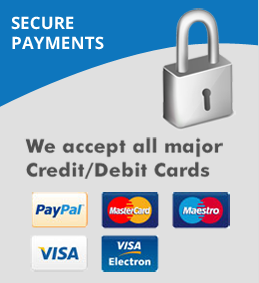 We have gained a good reputation for achieving excellent financial returns for our clients, mainly through our Internet commission selling service where your items are advertised in all major Countries all over the world.